enough weight to fit into it then lose more weight until that outfit becomes baggy on you. also a good natural sweetener. Drink lots of water with lemon. Sorry no sugar or sweetener this should be straight with just the lemon. Eat seafood instead of meat or poultry. Eat BEANS. they are best. Wear a lacing corset to slim your waist... and remind you when to actually really have to stop eating. Choose thinspiration with the same body type.. click here for stats. Do cardio for 30-60 minutes 6 days a week.. click here for some home exercises. Make sure your workout challenges you.. 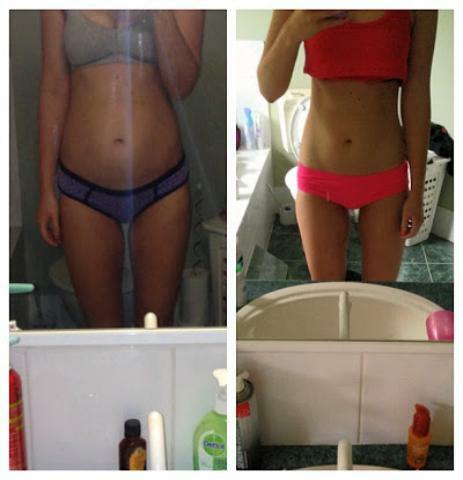 I am frigging in love with INSANITY WITH SAUN T.
Use a product like hydroxyslim to reduce body fat especially if you're a girl.. click here. Do visualization and self affirmations every time you can!! less so eat the same food and bore your way to skinny! dressing. click here for the cabbage soup diet recipe. even say the blessing, ask yourself, "Am I hungry OR am I eating just because?" Choose only to eat when you are hungry. Don't wait until you are famished to eat, or it's almost certain that you will overeat. hungry right now, and that you'll save the goody for when you are. hungry, then enjoy BUT be sure to pre-determine how much you are going to eat so that you won't overdo. Why Can't I Resist Overeating? generally, tackling diet-related problems is optional. love with those lower numbers on your weight scales! Stress kicks in the urge to overeat in many individuals and it's how their body deals with stress. food that we eat. It's not easy, but it can be done with determination. doesn't provide nutritional information about the foods ordered. We may overeat because we don't feel well, and sometimes eating makes it all better. We may overeat because we are depressed OR happy!